You wouldn’t let just anyone into your home or apartment would you? Don’t leave anything to chance by selecting a Perth house cleaning service at random from the Yellow Pages. Choose a company with a reliable record and proven local reputation. Choose a company listed with TrustedCleaner. TrustedCleaner is currently working to complete the verification process for a number of Perth house cleaning companies. In the meantime below are five local companies we recommend contacting. Because these companies have not been fully-vetted please do your due dilliegence before hiring a cleaner. 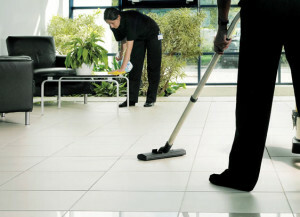 Home cleaning services from CureClean are available six days a week, typically between the hours of 8:30 AM and 5:30 PM. Offering fixed pricing, iewable on their website, CureClean’s rates are based solely on the size of the home to be cleaned. However, excessively soiled homes will incur additional fees. All cleaners are employed directly by CureClean (no sub-contractors) and are backed by a $20 million dollar liability policy. Residential and commercial window cleaning services also available. Employing a fixed rate, $28 per hour, and a number of promotional deals, House Keeping WA is trying to expand their grip on Perth’s domestic cleaning market. All House Keeping WA employees must receive a Federal Police Clearance and hold a valid work visa. More than 200 happy, client referrals are available upon request. Home Bright provides home cleaning services for those seeking a reliable, insured, police verified cleaner in the Perth Metro region. Domestic rates vary so inquiring for a quote online is recommended. Potential services include carpet, upholstery and general home detailing. For customer testimonials, visit the Home Bright website. This company has the hallmarks of a reliable domestic Perth house cleaning company and provide free price quotes. They bring their own equipment, as well as skill and experience, to every job. In addition to regular cleaning services, an end of lease cleaning option is also available. Franchised across Australia, House Proud Cleaning is not a local, mom-and-pop service provider, but that doesn’t mean they don’t care about providing quality cleaning services. Fully insured House Proud employees will bring their own non-toxic, chemical-free cleaning agents into your home and back their work with a 100% satisfaction guarantee. Free quotes are available and cancellations are accepted free of charge provided 24 hour notice is given.